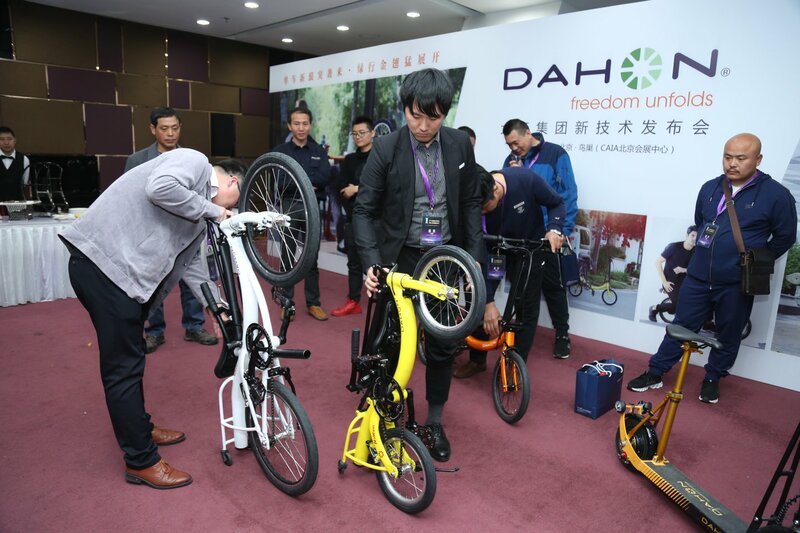 DAHON unveiled a new technology last week called Nuwave, marking a significant departure from the company’s traditional practice of offering mainly hinged folding bikes. 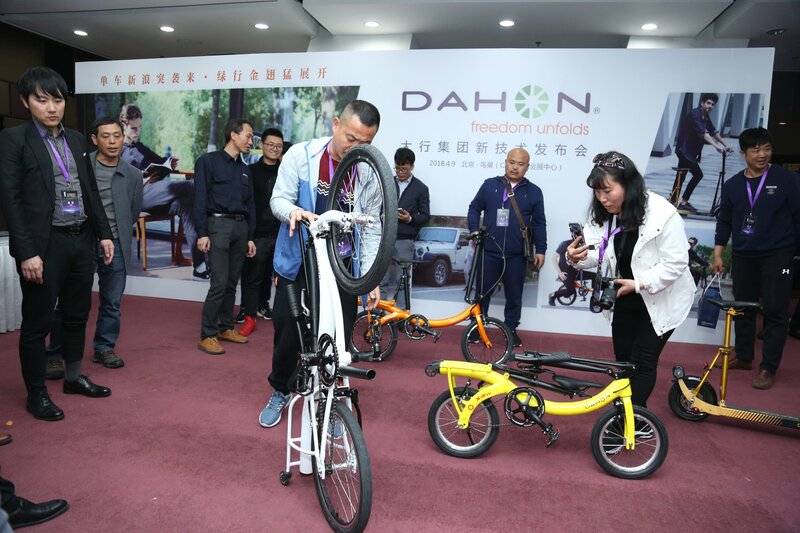 Instead, the new technology, which DAHON also refers to as Narrow Folding, uses a rigid frame that allows the rider to either remove the pedals or twist them into a 90 degree position that’s out of the way. Furthermore, the handlebar and seatpost act as tripods, allowing them to be compactly folded along the top of the frame. According to DAHON., this reduces the overall width of the bike by as much as 7 inches (15 centimeters), making it much easier to transport and stow away. Interestingly, DAHON says its Nuwave technology can be used in conjunction with an array of different bike styles, as well as those from other brands. “Commercially, this technology can be used for all bicycle types. In shared bicycle programs, small wheel units, either regular or electric, which can be tightly stored in special cabinets around town. For big wheeled MTB and road bikes, the slim profile would offer a range of advantages, limited only by one’s imagination”, says DAHON’s CEO Dr. David Hon. “To speed up the market introduction we will offer whole bikes, frames, or even technology licenses.” In an urban setting, with traffic lights and obstacles, a small wheel bicycle can maneuver much more easily”, he added. DAHON introduced five new models ranging from a 10-inch scooter to a 26-inch MTB last week, all using the same Nuwave technology. 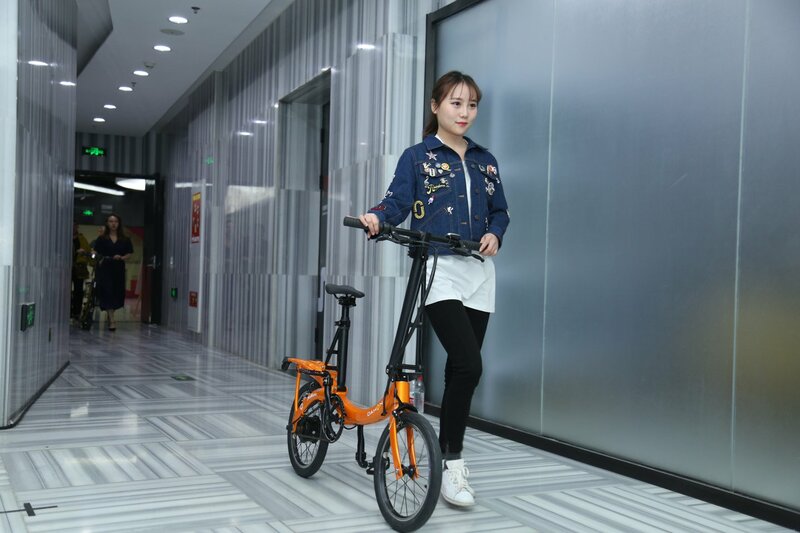 According to DAHON, the new technology addresses the three most striking features of any folding bike, namely, the handlebar system, the seat system and the pedal/crank system. Moreover, the company says its Nuwave technology is applicable across all single-track bikes and scooters regardless of wheel size, including electric models. Speaking of electric bikes, DAHON also introduced an electric version called the Nuwave Electric. This model features a rear wheel hub drive with a battery that’s built into the frame, which is capable of propelling the bike to a top speed of 12 mph (20 km/h), with a range of 12 to 15 miles (25-30 kilometers).